Internet security enthusiasts and penetration testers all know how critical security protocols and privacy tools are. If you browse the Internet without them, your data could easily be intercepted by governmental institutions or common hackers. The good news is that the modern miracle of encryption technologies makes it possible to protect your data, and allows you to browse the web with the peace of mind that there isn’t anyone snooping through your data. This is even better when it is a free vpn product on linux. But there are a couple problems with common VPN services, as we’ll discuss next. The VPN industry is actually very competitive. In fact, there are at least tens of VPN service providers, if not hundreds. And they are a great solution for end users who just want to unlock geo-restricted content or ensure that the government isn’t tracking their online activities. Furthermore, they cheap, dirt cheap. I saw one service advertising their pricing for as little as $2.08 per month. Because they’re so affordable, secure, and convenient, a lot of people are tempted to sign up for their service. But there’s a few drawbacks, as we’ll soon discover. Secondly, you also need to take great caution when selecting a VPN provider, because many of them are based in the United States. Ever since Edward Snowden blew the whistle, most people are rightfully distrustful of US-based digital services because the NSA was found to be wiretapping legitimate corporations such as Microsoft, Apple, Google, and many others in their PRISM program. Now people just don’t want to risk their data ending up on a governmental database if their VPN service is coerced into forfeiting information by the federal government. Thirdly, you need to understand that a commercial VPN service does nothing to protect data that your are hosting at your home. For example, a lot of us geeks like to setup our own mini-networks, complete with services like a file server, NAS device, and other local services. It’s great hosting your own file server because you don’t run the risk of a data leak, infringement of privacy, or data loss. The problem is that you can’t access your home file server securely when using a commercial VPN service. After your data reaches the VPN server, it is decrypted and sent on to your home network. This leaves data vulnerable for an entire leg of the data’s path, and when it’s unencrypted, there’s no telling who might be able to snoop through your data. The good news is that you can easily create your own VPN server using Linux…for free! If you want to, you can even route your Internet data through your home’s VPN server when your on an unsecure network, such as the Wi-Fi at an airport or coffee shop. In order to setup your own home brewed VPN server, you’re going to need a few things. First of all, you’re going to need hardware capable of running Linux. Ideally, you’d like to have a desktop computer that you can leave running for long periods of time to provide round the clock access, but you could use a desktop or other device. Secondly, you’re going to need the latest version of Ubuntu, and you’ll also need a router (but most home networks already have a SOHO wireless router). Once you’ve gathered all the resources necessary, you can proceed to use the following guide to setup up your very own VPN server. Naturally, you will want to be the root user when running through this guide. Basically, this will help prevent DNS leaks. If you want, you can use DNS servers that aren’t the OpenVPN resources. Last but not least, uncomment the lines that say “user nobody” and “group nobody.” You see, OpenVPN defaults to using the root account, but we’ll want to restrict it to the user ‘nobody’ and the group ‘nogroup.’ Be sure to save your changes as you exit vim. Now we simply need to remove the number sign to uncomment another line of code. Uncomment the line that says “net.ipv4.ip_forward=1.” Yet again, save your configurations and exit the text editor. It will ask if you want to continue, so enter a ‘y’ into the terminal. It should give you confirmation that the firewall is active and running. You’ll want to edit this file and enter in credentials between the quotations as they pertain to you. The file should contain the following information. Yet again, make sure you sign the certificate and commit the changes. Now we’re going to copy the RSA template and rename it. It was originally called client.conf, but we’ll give it a name of client.ovpn. The next thing we should do is to edit the client.ovpn template to add the CA certificate as well as they key. That way only a single, unified client.ovpn profile will need to be added to the client’s OpenVPN installation. You can name it anything you want, but the name does need to be changed. Henceforth, we’ll refer to our file as example.ovpn. The first thing we need to edit within the file is near the top, and simply substitute the IP address of your VPN server in the field in bold. Save the changes you have made and exit your editor. Congratulations, your client profile has now been configured. All that remains is to install the client profile on your operating system of choice, but this can vary greatly between different operating systems like OS X, Windows, iOS, or Android. Fortunately, OpenVPN has very detailed documentation that will show you how to install client profiles on just about any operating system you can imagine. We won’t get into the details of how to setup a client profile for every single operating system, however, since it’s a bit outside the scope of our tutorial. However, after downloading your free vpn product on linux and following the instructions on the OpenVPN site, you should be able to connect securely to your home’s VPN tunnel. Do you know what’s a Rainbow table. Well if you are an amateur hacker like i once was, a rainbow table is a huge pre-computed list of hash values for every possible combination of characters. A password hash is a password that has gone through a mathematical algorithm that transformed it into something absolutely foreign and when i mean foreign i mean it looks like some hieroglyphics stuff that you would see on those egyptian pyramids, well that was when i just started out but don’t worry if you’re a amateur you will pass that stage soon. A hash is a one way encryption so once a password is hashed there is no way to get the original string from the hashed string. A very common hashing algorithm used as security to store passwords in website databases is MD5. If you are confused like i once was couple years ago well here is a scenario, Let’s say you are registering for a website which I did couple weeks ago. You put in a username and password. Now when you submit, your password goes through the MD5 algorithm and the outcome hash is stored in a database. Now since you can’t get the password from the hash, you may be wondering how they know if your password is right when you login. Well when you login and submit your username and password, a script takes your password and runs it through the md5 algorithm. The outcome hash is compared to the hash stored in the database. If they are the same, you are admitted plain and simple. If I were to run the word “cheese” through the md5 algorithm, the outcome would be (fea0f1f6fede90bd0a925b4194deac11) yep that’s what called those weird looking stuff. Having huge tables of every possible character combination hashed is a much better alternative to brute-force cracking. Once the rainbow tables are created, cracking the password is a hundred times faster than brute-forcing it. You can avoid rainbow table cracking by simply making your password extremely long. Creating tables for passwords that are long takes a very long time and a lot of resources. That is why there aren’t many of these tables available. Constructing a rainbow table requires two things, a hashing function and a reduction function. The hashing function for a given set of Rainbow Table must match the hashed password you want to recover if it don’t well you already the drill. The reduction function must transform a hash into something usable as a password. A simple reduction function is to Base64 encode the hash, then truncate it to a certain number of characters. Rainbow tables are constructed of “chains” of a certain length: 100,000 for example. To construct the chain, pick a random seed value. Then apply the hashing and reduction functions to this seed, and its output, and continue iterating 100,000 times. Only the seed and final value are stored. Repeat this process to create as many chains as desired. To recover a password using Rainbow Tables, the password undergoes the above process for the same length: in this case 100,000 but each link in the chain is retained. Each link in the chain is compared with the final value of each chain. If there is a match, well the chain can be reconstructed, keeping both the output of each hashing function and the output of each reduction function. That reconstructed chain will contain the hash of the password in question as well as the password that produced it. Rainbow Tables have the benefit, the person constructing those tables can choose how much storage is required by selecting the number of links in each chain. The more links between the seed and the final value, the more passwords are captured. One weakness is that the person building the chains doesn’t choose the passwords they capture so Rainbow Tables can’t be optimized for common passwords. Also, password recovery involves computing long chains of hashes, making recovery an expensive operation. The longer the chains, the more passwords are captured in them, but more time is required to find a password inside.So there you have it i hope you learnt something valuable. Secure Sockets Layer or SSL Hackers Guide : You might have heard some times that not to give your password or credit card information or any other sensitive information on public computers or on Facebook, yahoo etc chats.The reason why you might have heard that the Hackers have some ways to you would have probably heard that hackers have a way to steal your your credit card numbers , passwords etc. A hacker can use different types of attacks such as Packet sniffing or ARP Poisoning to steal your sensitive information. Secure Sockets Layer (SSL) is the most widely used technology for creating a secure communication between the web client and the web server. You must be familiar with http:// protocol and https:// protocol, You might be wondering what they mean. HTTP protocol is used for standard communication between the Web server and the client. 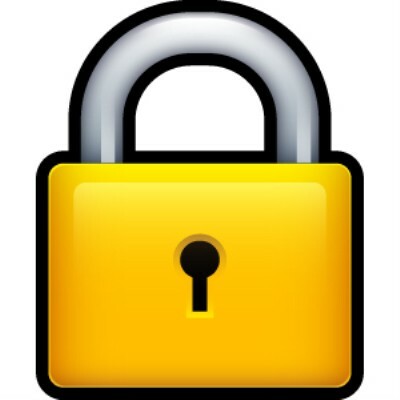 HTTPS is used for a secure communication. So If the hacker starts sniffing from between he will get Encrypted text and as the Hacker does not know the keys so he cant decrypt it, but if the attacker or hacker is sniffing from the starting point so he will get the key and can easily Decrypt the data. When A will send information to B it will be in unencrypted manner, this is acceptable if A is not sharing Confidential information, but if A is sending sensitive information say “Password” it will also be in unencrypted form, If a hacker starts sniffing the communication so he will get the password. In a secure communication i.e. HTTPS the conversation between A and B happens to be in a safe tunnel, The information which a user A sends to B will be in encrypted form so even if a hacker gets unauthorized access to the conversion he will receive the encrypted password (“xz54p6kd“) and not the original password. A HTTPS protocol can be implemented by using Secure Sockets Layer (SSL), A website can implement HTTPS by purchasing SSL certificate. Which websites need SSL Certificate? The websites where a private conversation is occurred, Websites related to online transactions or other sensitive information needs to be protected needs to SSL Certificate. In Internet Explorer and google chrome, you will see a lock icon in the Security Status bar. The Security Status bar is located on the right side of the Address bar. You can click the lock to view the identity of the website. If you are making an online transaction through Credit card or any other means you should check if https:// secured communication is enabled.